Quality assurance – the special responsibility in our company. 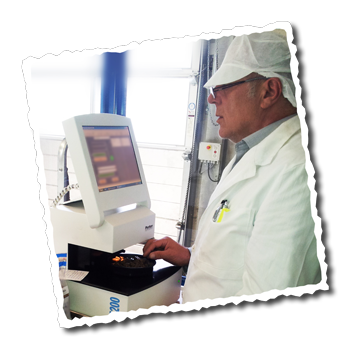 Not only do we use the very best ingredients, but stringent quality checks at Markus-Muehle guarantee consistently high standards in production. Continuous and ongoing research ensures that these qualities continue to be sustained and improved. All our ingredients are carefully selected and have to pass the strict quality controls set by our company. These include ensuring that all our ingredients are free from GM, are processed gently in a clean environment and that each ingredient and product is traceable. Before any raw ingredient can enter the production process, it has to pass several internal tests as well as tests carried out by independent food laboratories. These tests are repeated with the finished product and our processes are optimized at all times. Surpassing legal guidelines and setting the most exacting standards, we furthermore ensure that our trained personal are able to meet all the required standards regarding quality, hygiene and health and safety. Call us at normal workday times. We're happy to help.